Leg Exercises For Losing Weight And Why You Should Be Doing Them! Why are Leg Exercises a MUST if you want to lose weight? The best leg exercises for women and men are multi-joint exercises, meaning that your hips and your knees are moving. The main muscles that move these joints are the buttocks (or “glutes”), the hamstrings and the quadriceps. Because the leg muscles are responsible for so much movement, they can burn a lot of calories and they are among the most important exercises to lose weight! The best leg exercises are squats, deadlifts and lunges and any of their many variations. One of the funny things I have noticed in the gym is how people tend to shy away from a really good lower body workout. Whether it’s a guy trying to add muscle to his frame or a woman trying to lose weight – many have the same ideas about skipping a good leg workout! Single joint exercises such as leg extensions, leg curls and calf raises target individual muscle groups and they can be beneficial depending on your goals. But as far losing weight goes, you can use multi-joint exercises like squats, deadlifts and lunges to work ALL of the leg muscles at the SAME TIME, which will SAVE you time! If you are NOT doing leg exercises for weight loss or overall muscle gain,you are missing the boat! If they only knew……doing exercises such as squats, deadlifts and lunges not only burn a lot of calories during and after exercise, but they release chemicals in your brain that will promote muscle growth ALL OVER your body! And for you men...I have seen guys in the gym experience huge gains in UPPER body strength by adding a good lower body workout when they didn’t do much of one previously. All movement burns calories – some more than others. The more intense the exercise session, the more calories that are burned during and AFTER the actual exercise is done. This afterburner effect is how exercise speeds up metabolism. Squats can be done with or without weights. Squats work even more muscles than a leg press machine. With the leg press machine, you are only extending the leg at the hip. With squats, your muscles have to pull your torso upright at the same time – more bang for your buck! If you are not familiar with deadlifts, you may think it sounds like an exercise that only a bodybuilder or power lifter should be doing. But deadlifts are a great move for losing weight! They engage even more muscles than squats! Believe it or not, deadlifts are one of the best exercises for women. Lunges, like squats, can also be done with or without weights. Lunges can be done on flat ground, elevated, to the front to the side and to the rear. Lunges are a versatile exercise and there are many arm exercises that can be incorporated with them to make them even more effective! There are endless variations and ways that squats, deadlifts and lunges can be incorporated in your workout. 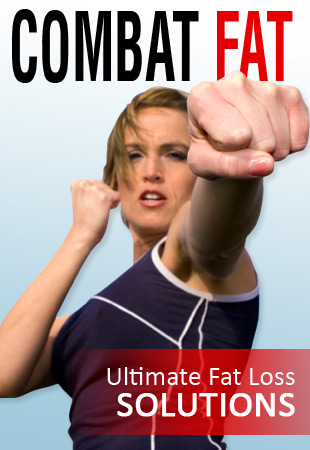 All of today's popular fitness programs such as P90X, Insanity, etc. include all sorts of leg exercises. If you want to lose your gut, then energize the big muscles in your body for MAXIMUM calorie burn! Leg exercises should be a part of every weight loss program! The best leg exercises for women and men can be done anywhere, anytime. Multi-joint movements such as squats, deadlifts and lunges will burn more calories than single joint exercises like leg extensions or leg curls. You can also achieve a faster, more complete workout with multi-joint movements and they are more functional because they simulate everyday movement. Return from "Leg Exercises" to "Exercise Guide To Lose Weight" Home.